Sail Sedan has undergone 6.3 million km of testing across India to ensure that it is able to cope with the various conditions of our country. It is being offered in four variants; Base, LS, LS ABS and LT ABS with one petrol and one diesel engine. While the former is a 1.2-litre mill producing 86bhp and 113Nm of torque with an ARAI certified fuel efficiency figure of 18.2kmpl, the diesel engine is a 1.3-litre mill producing 78bhp and 205Nm of torque with an ARAI certified fuel efficiency of 22.1kmpl. The Sail Sedan is being offered in seven different colours: silver, red, light blue, black, white, grey, and beige along with beige interiors to give the car an airy and spacious feeling. In terms of safety, the top two variants get ABS and EBD, driver's side airbags for the LS, LS ABS and driver and passenger airbags for the LT ABS variant. The compact sedan from the American automaker is being offered with a three year warranty on the car and five year warranty on the engine and transmission. 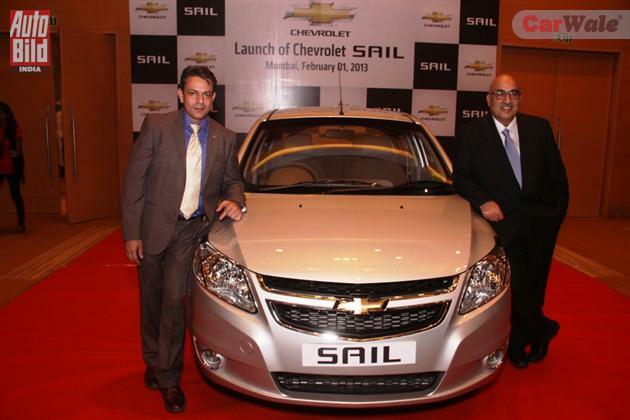 During the launch Chevrolet also announced that the Enjoy MPV was in its final stages of testing and would be launched within the next few months.